Tilt Up, Tilt Slab, tilt wall Construction. Tilt up - In the foreground is a finished panel, and behind you can see a stack of panels ready for erection, with four panels already fixed. Tilt up - Propriety steel props that are bolted to insets cast into the panel, and bolted to the foundations, provide support both ways. That is it is not necessary to prop bath sides of the panels. Tilt up - Proprietary aluminium edge form section. Tilt up - Detail at the bottom. The packers are high density plastic. The circular hole in the footing will receive the next wall's grout bar. The blue plastic shows the position of the threaded inserts for rebar (threaded one end) that will be used to tie into the floor concrete. The finished floor level will be higher than the blue inserts. 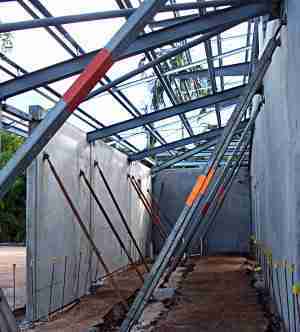 Tilt up - The roof members and structural steel are fixed before the props are removed and the slabs poured. Tilt up is a pre-cast concrete system of building walls. 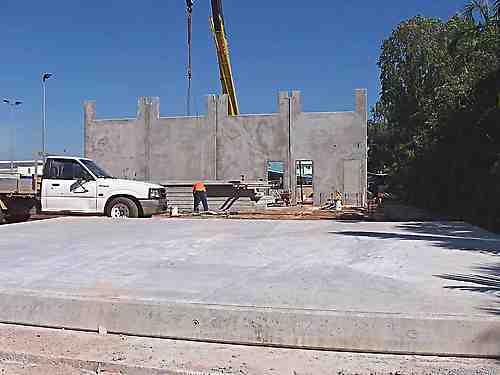 Traditional pre-cast concrete products are made in a factory, and then have to be delivered to the site. Tilt slabs are poured on site. It has been around (in Australia) in it's present form since the 1980's. Prior to then there was a lot of projects that were less than perfect. For instance, after cyclone Tracy in 1975 it was found that houses built out of precast panels failed miserably because the panels were not connected properly. On this page are photographs taken in 2007 of a building constructed this way at our local shopping center. I have never used the system myself, so I am no expert, but I have a good mate who built quite a few warehouses using tilt up and he talked about it a lot, and his comments I am partly relating here. There are any number of websites out there that are willing to extol the virtues of tilt up, but I have not let that stop me airing my views before, so why now? 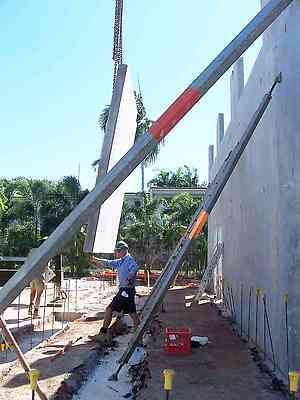 Tilt up is no doubt a faster and cheaper method of wall construction on jobs over a certain size. Tilt up construction is a highly technical way of building, but for some jobs it just can't be bettered. 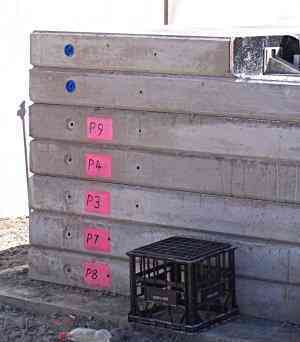 On sites with little room, the panels can be poured one on top of the other, or stack cast, to save space. 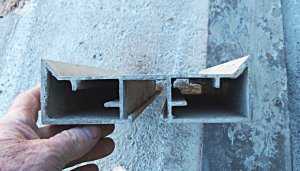 The formwork is extremely simple, and yet complicated shapes can be formed. I am talking about flat panels that can have just about any shapes, incorporating curves and various other decorative surface features. It has all the advantages of strength, fire resistance, low maintenance etc. that solid masonry construction has, but in a smaller package. That is the walls are thinner than say modular blockwork. It can be dangerous. The fact that panels of many tonnes weight are lifted by crane means that quality control and safety measures must be very stringent. Partly because of safety issues many proprietary products are required for this type of construction, so set up costs are large. Because of the previous points, tilt up is not suitable for small one off jobs. 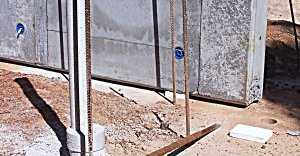 Tilt slab is a fully engineered system, and as such alterations and amendments can not be made on the fly, i.e. change the size or positions of openings without the express approval of the engineer. In spite of the fact that tilt up has the possibilities of great design flexibility, the vast majority of jobs are definitely "industrial" in appearance. So as you can see it is a very efficient way of building, this particular job went ahead very quickly with only a small crew. As I said before the buildings, produced by this method, tend to be a bit industrial looking, and I happen to think that that is where tilt up is at it's best, large industrial buildings. At present, we are living in a pre-cast house (post Tracy construction) and I have no complaints with it. I have read a couple of articles to the effect that tilt up construction has been responsible for some horribly ugly inner city developments. In Melbourne particularly. Tilt up - A view of the finished job. A four bay tyre center. Go To Top :Tilt up walls.